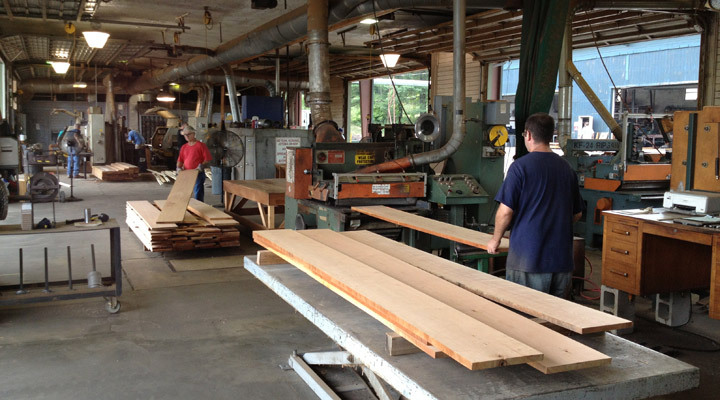 In any discussion of wood movement or gaps between decking boards, knowledge about the wood drying process — and the nature of how wood naturally soaks up and sheds moisture — is often assumed. Wood is hygroscopic by nature, as described in this video by Wood Work Web; the capillary action and related swelling mentioned in the video encourages wood to move across the grain — and that’s something you need to understand in order to avoid having your finished product experience warping and cupping. The wise wood worker realizes that you simply can’t avoid wood movement; instead, you must plan for it. At the same time, there is one thing that will allow your wood to move in a predictable and limited way: proper drying techniques. The North American standard for interior applications is to have lumber kiln dried to between 6 and 8% moisture content. (Europeans are usually satisfied with lumber kiln dried to between 12 and 15% moisture content.) 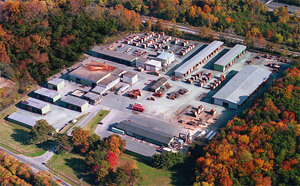 Kiln drying accomplishes more than simply achieving a particular percentage, though; it acts to harden the lignin between all the cell walls, setting it so that as wood continues to soak up and shed moisture, the cell walls resist dramatic movement. While properly kiln dried lumber is more stable than lumber that’s only air dried, improperly kiln dried lumber can prove far more disastrous than lumber air dried to the incorrect moisture level. Lumber drying takes time. If kiln drying is done too quickly, case hardening can occur; case hardening is when the outer layers of wood dry more quickly than the inner layers, creating a hard shell around the moist inner layers and trapping the moisture inside. The result is extremely unstable wood that moves dramatically when cut. Case hardening typically results in discoloration and cracking of the outer layers. I’m sure you’re familiar with the old fable about the Tortoise and the Hare, as well as the moral of the story: Slow and steady wins the race. Well, when it comes to lumber drying, that principle certainly applies. Drying schedules for various species of lumber aren’t trade secrets; in fact, they’re publicly accessible. Despite this widespread knowledge, many companies skip steps or rush the process in an attempt to keep up with market demands. J. Gibson McIlvain takes tortoise-like precautions, being sure to take the time needed in order to ensure proper drying. 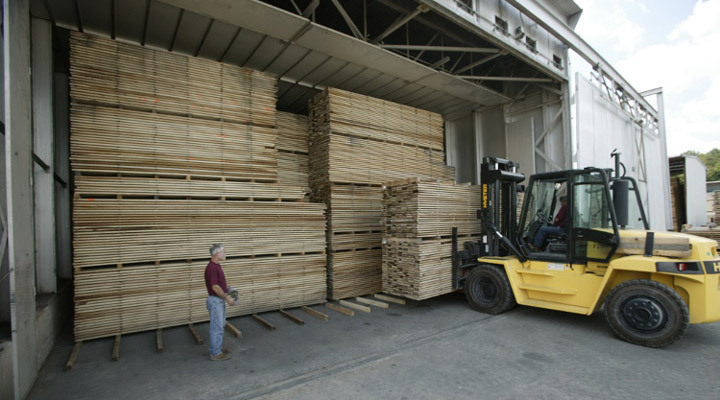 Some lumber we receive has been recently sawn and still has a moisture content between 25 and 50% at the time it arrives in our lumber yards. 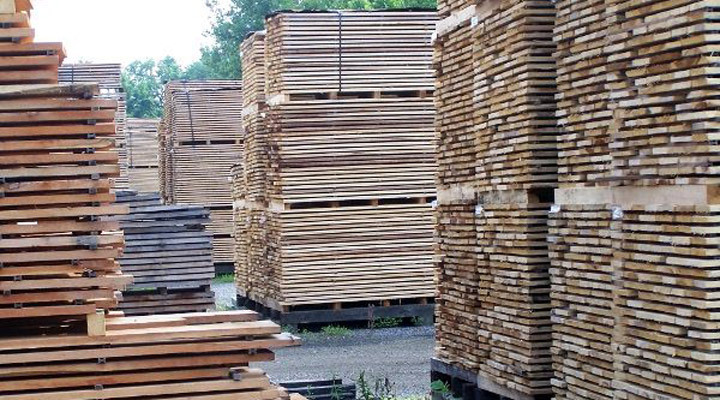 Some species of domestic lumber have been air dried to between 10 and 25% moisture levels, while much of the imported lumber we receive has been dried to European standards of 12-15%. 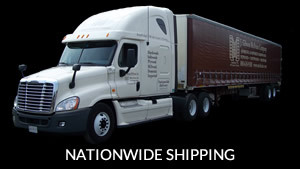 While the amount of time needed for us to prepare each of those categories of lumber for sale vary, we proceed in basically the same way for all the lumber we receive. We’ll describe that mode of operation in greater detail in Part 2.